How do I address a cover letter when I don't have any information about the employer? When applying for jobs online, I have found that the postings often do not include a contact name or company name. Because of this, I don't know what to put in the salutation. Should I say "Dear Sir or Madam"? Leslie, that's a great question. The simple answer is, if you are applying to an advertised job and the employer has not included any contact information in the job ad, it is acceptable to use something like, "Dear Sir or Madam:" or "Attention Hiring Manager" in the salutation of your cover letter. However, in order to stand out from the competition, it's wise to be more than just "acceptable" in your all of your job search related activities. It may take a little time and detective work, but it is often possible to discover the contact information for a company that has posted a job ad, even when they have only provided a fax number (and no company name) in their ad. Two tools I have used to determine the name of a company that is hiring when I've been given nothing more than a fax number on a job ad are reverse fax directories and local business directories. Search for a free online reverse fax directory by typing the words reverse fax directory and your country (or state/province) into a search engine. Once you find a reverse directory for your area, type the fax number from the job ad into the directory. Not always, but often, the fax number will be listed in the reverse directory, and you'll discover what company owns the fax number. Some reverse directories are better than others, so you may have to try a couple of reverse directories before you get good results. If the reverse fax directory doesn't work, take a look at a business directory for your local area. Based on the information in the job ad, you may be able to narrow things down enough to quickly find the name of the company in a local business directory. First, take a look at the area code for the fax number. Based on the area code, determine the city where the company is located. Next, consider whether you can determine the industry the company falls into based on the type of job or other information in the ad. If you can narrow things down to a specific city and a specific industry, then you simply need to pick up a copy of the business directory for that city (look online, at your local library, or an employment resource center for business directories). Business directories are usually organized by industry. Look up the industry you believe the company falls into, and scan through the listings looking for a fax number that matches with the fax number in your job ad. This strategy doesn't take long and will often lead you to the name of the company that is hiring. Sometimes you'll even find the name of the hiring manager in a business directory. Don't spend the entire day at the library or on the Internet trying to discover the company that is attached to a single fax number. If you've checked reverse fax directories and business directories and have not been able to find a company name, spending more time trying to find the company name will likely not be a good use of your time. At that point, simply address the cover letter as noted above. Do some company research (check out their website, ask around to see if any of your contacts knows anything about the company), and apply that research when you write your cover letter and your resume. In addition to including the correct contact information on your cover letter, you can also really target the content of your cover letter and resume to the needs of the company. Your research will give you clues about what the company looks for in new hires. Consider the kinds of customers they serve, what they are best known for (great customer service? innovation? great prices? ), and consider the company culture. Once you know a bit about the company's needs and values, consider how your specific skills and experiences match with the company's needs, and highlight those skills and experiences on your resume and cover letter. This extra work is really well worth the effort. 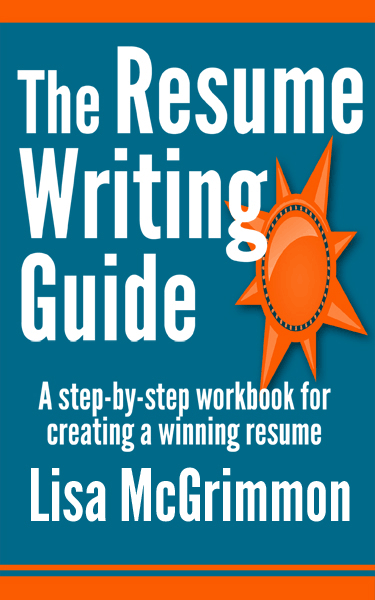 Your competition will not be able to target their resumes and cover letters in the same way, because the vast majority of people simply do not take these few, simple, extra steps to research a job opportunity before submitting a resume. In a competitive job market, it is important to stand out from the crowd. The good news is, it's not difficult at all to stand out; you simply need to take one or two steps more than the average job seeker will take.